I have just realized that we have made 78 infinity scarves so far. Some of them were made from ikat silk, a few - from crepe de chine, and there were many of them made from vintage Russian shawls. We feel that this is a great way to utilize those shawls which are damaged beyond repair and cannot be worn as is. 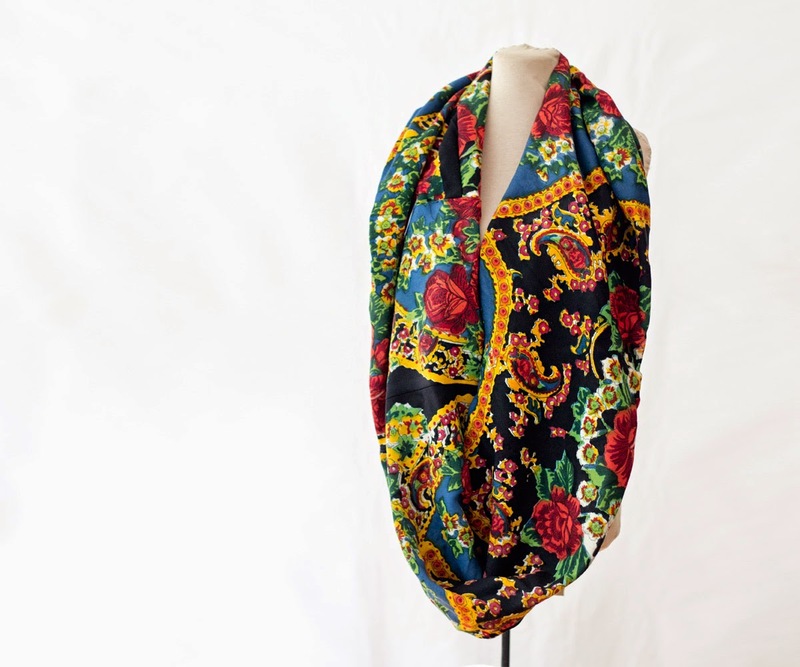 The endless scarf I want to show today is made from a very vintage hand block printed shawl. The print is just lovely - like a bright watercolor with colorful roses and paisley. It is a heavy wool fabric with some polyester added, which prevents it from wrinkling. This wool and lavsan blend was very popular in the 1960-1970s. And it drapes really well, in nice large soft folds. 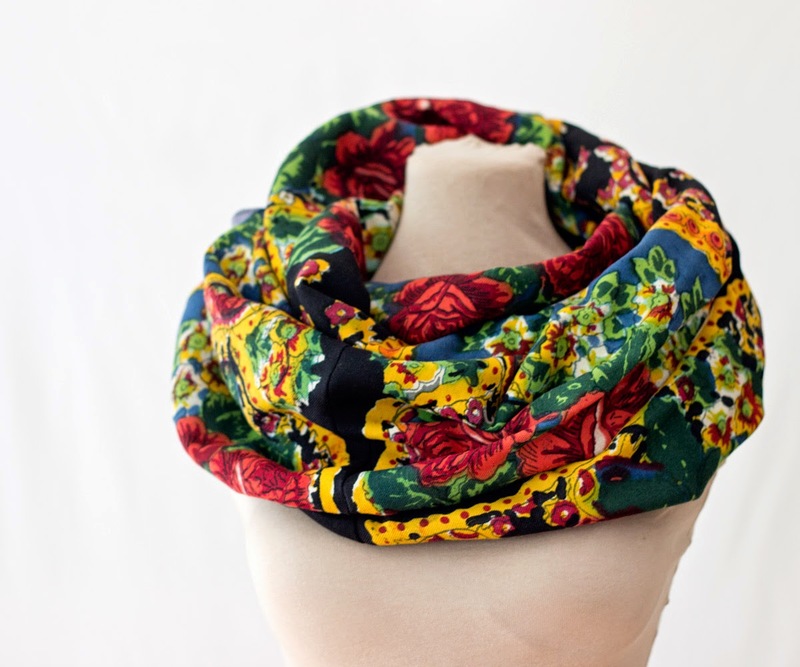 This one of a kind infinity scarf made from a vintage Russian shawl can be found in our Etsy shop here - https://www.etsy.com/listing/204544885/ . Amazing patterns, and the colors! Oh those colors, they always make me so happy! 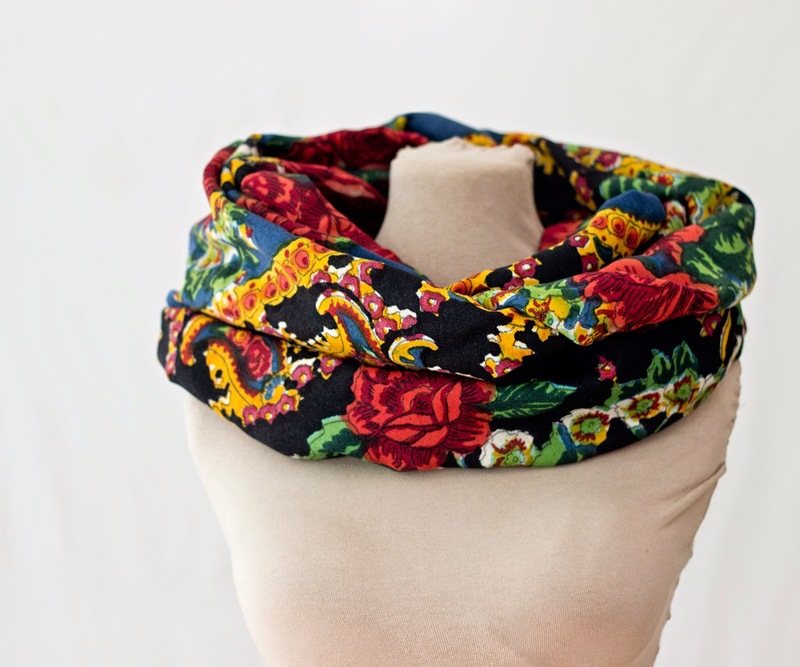 Such a great idea to up-cycle vintage Russian shawls! Thank you, Arctida! I am glad it has a second life now. Like the 100% pashmina Scarf. Gives the beautiful look as what one may require.